I have both a 80s BK garage made Tubedriver and his latest reissue. After trying countless tubes I have discovered the NOS Telefunken ECC81 to give the best results. I have 3 of these tubes and they are extremely consistent providing great tone, mojo, and character to these pedals. To my ears the difference is astounding in both pedals. Yes, they are expensive but do not disappoint. Has anyone else discovered the same result? On the new Tube Drivers, both David Gilmour and Eric Johnson use Ei Yugoslavia Ecc83's. These tubes are made with the same specs as the old Telefunken Ecc83 flat plate. So i'm not suprised if you get the best results with that tube, even if it's an Ecc81. Right now on my clone i use a 1960 Nos General Electrics 12AU7, and i found it far superior to all the 12ax7 tubes that i've tried. Ecc81 tubes give the pedal a Booster/Distortion flavor with a better balanced tone, on the other hand Ecc83/12ax7 gives the pedal a Distortion/Fuzz character. To me 12au7/ecc81 is the way to go with this pedals. Tubedriver wrote: I have both a 80s BK garage made Tubedriver and his latest reissue. 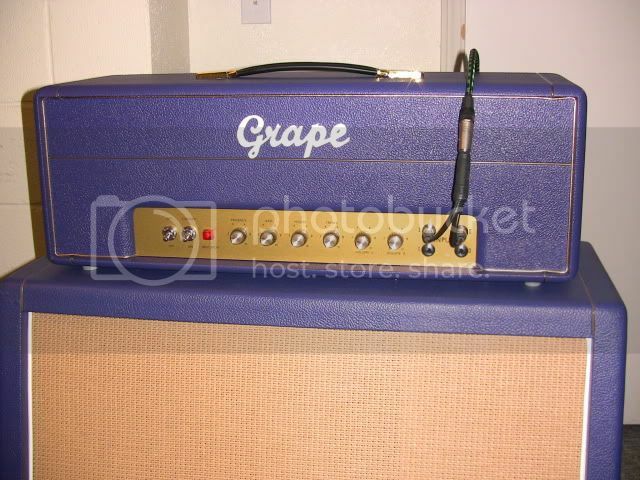 Do you have pics of the "garage made Tubedriver"? That's one of the earliest models of the Tube Driver. Made around 1979. How does it sound compared to the 12AX version? Tubedriver wrote: How does it sound compared to the 12AX version? It's really different. The 6AV6 is basically half of a 12AX7. It also has an optically controlled circuit with a Vactrol. I don't play guitar much but my friend has tried it out and was able to get very Eric Johnson-ish tones out of it w/ his strat. Cool, that must be his early kitchen table made version, just kidding. To be honest I prefer BK's reissues to the originals. Provided the TF ECC81 is in. I find the RI to be smoother and more violin like. The originals are a tad noisier, but with more attitude. There's only 1 cap on the trace side, it's a 473uF, 100v. 4 of these are on the component side and 1 on the trace side (Hence the label indicating 5 ea). I listed only one 473uF, 100v on the component side, all others on this side not labeled are these type. The only other chiclett style cap on the component side is a 103K, 100v and is labeled as such. Audio taper pots - Drive 500k, LO 100k, HI 500k, Output 100k. let's try to keep all this info together ok? Here's the resistor layout and values. Here's something that can be useful for you, guys. I got this from Tube Works as a schematic of their 911 pedal. But looks like it originally was a schematic of the Tube Driver from 1986 done by Mr. Butler himself. Then someone modified it to match with the 911 pedal. Maybe it's a correct schematic for the pedal being analysed here? Hi, could you draw on the picture showing where are going traces under resistors? Like this, but I'm not sure is it correct. Nope. I've e-mailed closeups with corrections. Did anybody made a schematic out of the 80s Tube driver being analyzed here? Is it actually different from the Baja schematic of the BK Butler TD re-issue? Check out the bypass, the circuit is connected to the signal chain even when bypassed. This schematic is for the chandler wall mart version (the one that doesn't say BK Butler on the enclosure). Yes the TD is always loading the guitar, and the worst is that the bypass signal is not even picked up after the buffer. As soon as i have time i will trace this one from the pictures. Curious to see what are the differences between the early and new ones. I looked at the pics today and i'm almost done with the schematic. It has significant differences compared to the reissue version (tone stack, plate resistors, ..). Can you please take more clear pictures around the opamp (trace side). Sometimes is really hard to follow the tracks. Also you missed to label one capacitor, it's hidden behind the gain pot. What's it's value? There's a section above the opamp you labeled 3 resistors as being 680Ohm, it looks like only one is 680 and the other two are 6,8k. Can you confirm that? Can you take clear picture for me of this zone of the PCB? If you can please take as many pictures as possible! I need to clearly understand where those tracks below the resistors go!